With the upcoming release of Fire Emblem Echoes: Shadows of Valentia next month, I thought it would be fun to return to the Fire Emblem game that got me into the series–Fire Emblem Awakening. I played, and loved, Advance Wars: Dual Strike on Nintendo DS. It was one of the first strategy games I got into, and it struck a chord. The colorful art and refreshing characters made the game feel like less of a drag. Even though I enjoyed Dual Strike, I never realized the same developers made Fire Emblem. I had friends who enjoyed the GameCube Fire Emblem game, but the series was never on my radar. In early 2013, one of my favorite video game podcasts, 8-4 Play, had nothing but incredible things to say about Fire Emblem Awakening. It’s worth noting that 8-4 is the company that localized Awakening, but I trust their opinions. When the game released on February 4, 2013 in North America, I decided to buy the game and give the series a try. Since I was new to the series, I played it on Casual mode (meaning if any of my characters died on the battlefield, they were only dead for the rest of the battle and not the rest of the game). I was immediately pulled into the world, combat, and characters. I loved the way the game looked, from the character portraits to the beautiful cutscenes. There’s nothing quite like playing cupid in the heat of battle. With each new character that joined my team, I was thrilled to get to know them. Awakening has a nice ebb and flow that gives it the little something extra that isn’t just going from battle to battle like Advance Wars. I loved how supporting units on the battlefield lead to their relationship growing. There’s nothing quite like playing cupid in the heat of battle. And with each new battle, a new challenge kept me engaged and moving forward. I played the game consistently for the first few months after release, but I eventually moved on to other games. 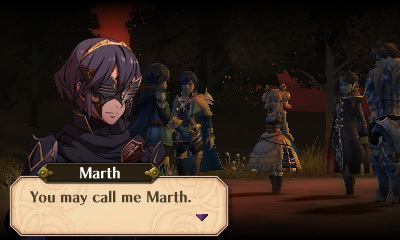 Looking back on that time, I had genuine fun playing Fire Emblem Awakening. It’s one of my favorite gaming experiences, and it was one of the first must-have games for Nintendo 3DS. Returning the game four years later has been a complete joy. The game holds up incredibly well, and my interest in Fire Emblem has only grown since. I played a dozen hours each of Fire Emblem Fates and Fire Emblem Heroes, which I enjoyed, but they didn’t pull me in quite like Awakening. Playing on Classic mode has forced me to play much more defensively and not rush into battle. The battles being more difficult makes winning that much more rewarding. It has made me appreciate the game in a new way. Pairing up different characters this time around makes me appreciate them all more, which isn’t the case with many other games when you play them a second or third time through. 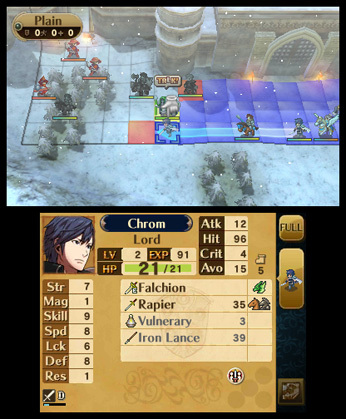 Fire Emblem Awakening is the right blend of accessible and challenging, which many strategy RPGs tend to get wrong. It strikes the perfect balance strategy and story, which both fuse together to make such a wonderful game. There’s nothing that comes to mind that I dislike about the game. It’s such a natural fit for a portable title on 3DS, and I think it is a solid entry point into the series. 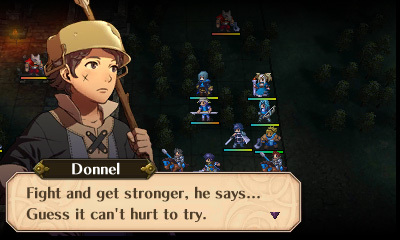 Fire Emblem: Awakening is without a doubt one of my favorite video games. I’m excited to continue to play it in the years to come.